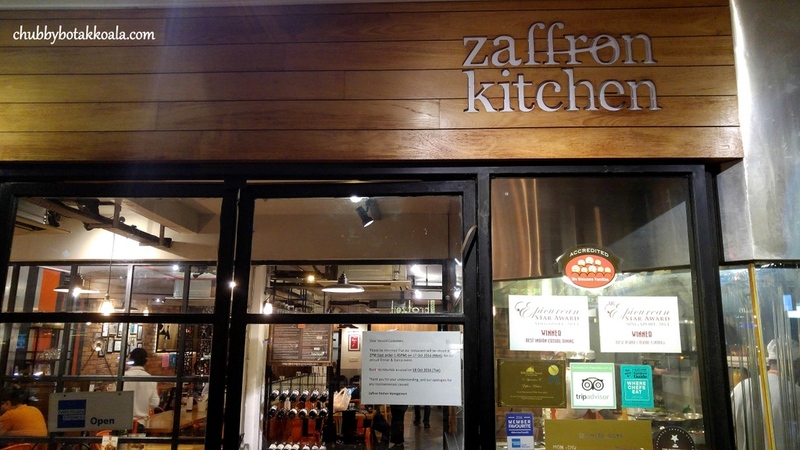 Zaffron Kitchen at East Coast Road is a Modern Indian Restaurant that has been serving refined Indian Cuisine since 2011. 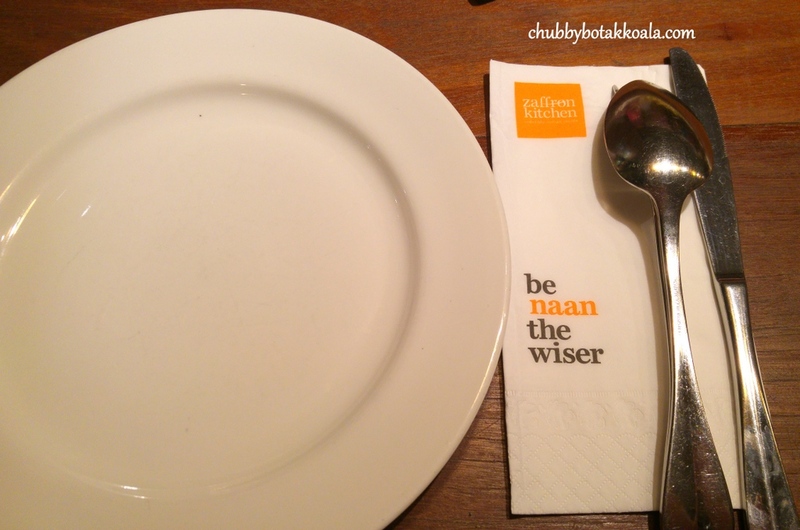 They have been 'crowned' the BIB GOURMAND by the Michelin Guide Singapore. 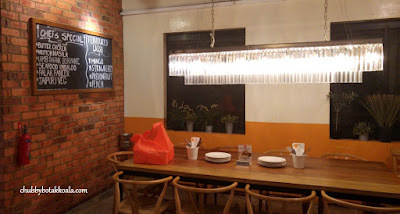 The décor of the restaurant is so modern, it can be mistaken for any bistro. 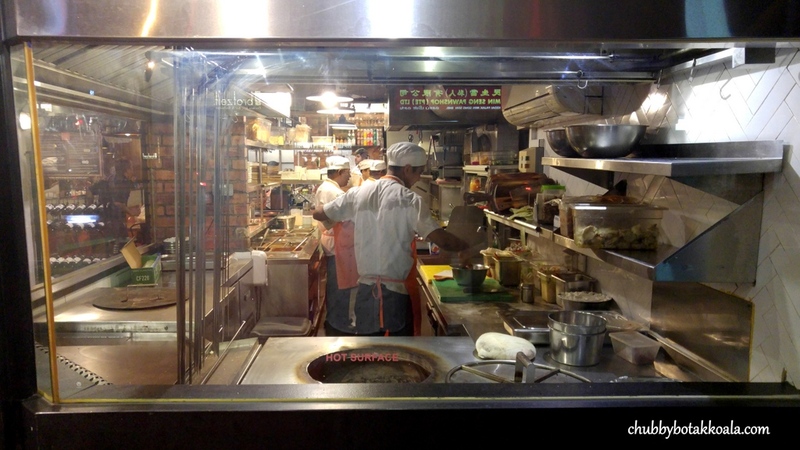 You will notice that it is an Indian restaurant when you see the Tandoori oven at the entrance. We have dined here a few times and their food has always been consistent. This time around, we were here to celebrate our friend special birthday. 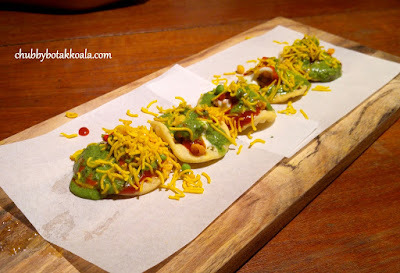 Light starters was Papdi Chaat ($6.50). Serve on a wooden plank like the latest trend of tapas presentation, it looks delicious. The wafers are crispy, topped with mixed of sweet yoghurt and mint chutney. An 'explosion' of different flavours once you pop it into your mouth and a good dish to tantalise your taste buds. Following Papdi Chaat was Zaffron Tandoori Platter ($39.50). This platter include Malai Kebab, Chicken Tikka, Mutton Seekh Kebab, Murg Pudina and Fish Tikka. Suitable for party of four. 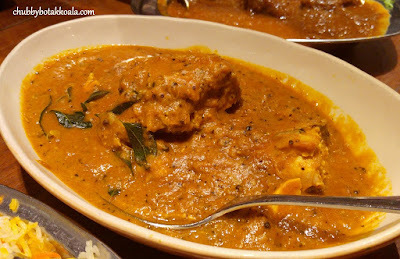 The chicken for the Chicken Tikka, Malai Kebab and Murg Pudina was just succulent. The marinated seeps into the meat and also helps to seal the jus in the meat. 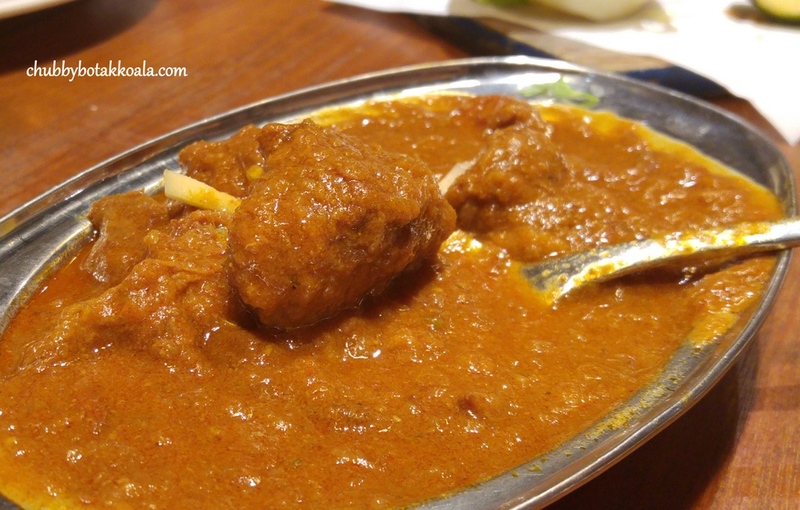 Watch out for the spicy kick from the Murg Pudina, as chilli was added into the spice. If you are worried that the Mutton Kebab will be slightly gamy, you don't need to. The spices marinate did its job to make the kebab tasty and aromatic as well. The Fish Tikka was firm but juicy, provided a good variety if you are looking for something from the sea. 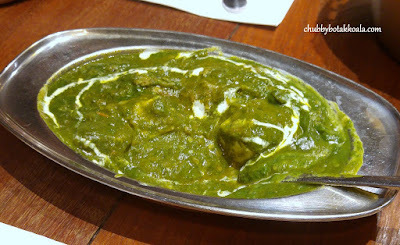 Meanwhile, creamy Palak Panner is just delightful as well. Nice creamy spinach with the mild firm texture of Indian cottage cheese. It is a vegetarian dish, but it is one of our favourite dish to benchmark any Indian restaurant. Mutton Rogan Josh ($18). A slightly spicy mutton curry. The mutton is lean and firm. Though the gravy provided most of flavour, the spices did not absorb well into the meat, unlike the butter chicken. The spiciness level is definitely higher compare to butter chicken, so non spicy eater and kids might want to watch out here. 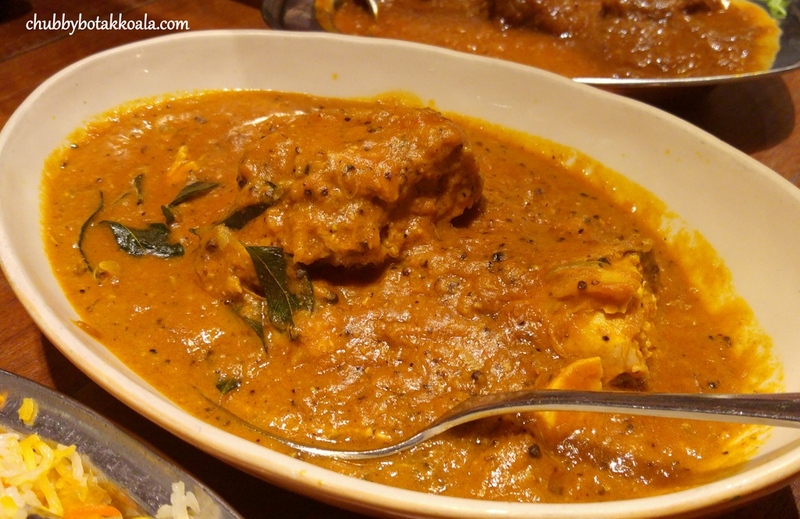 The spiciest dish amongst all will definitely be Chicken Chettinad ($14.50). 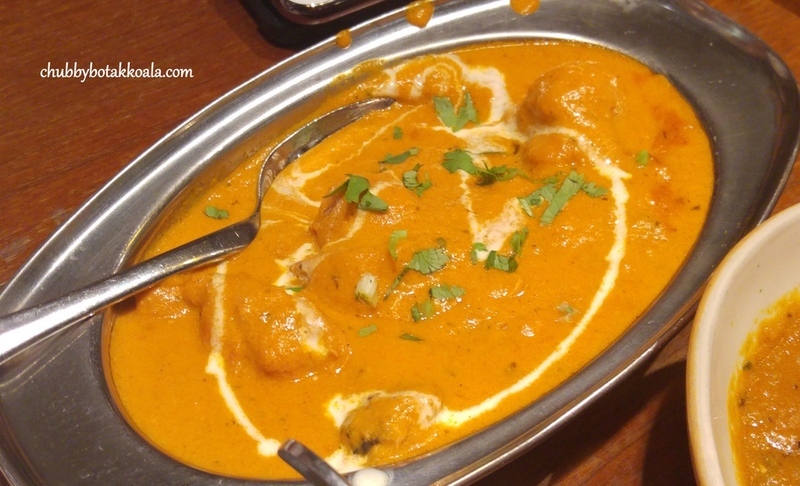 Fiery and aromatic at the same time, it will spice up your taste buds at the same time. Too spicy for me but LD manage to handle it well. 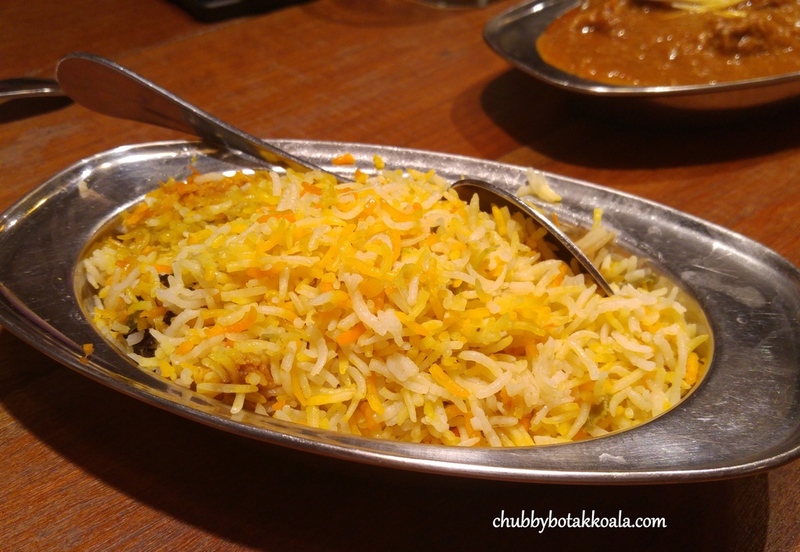 To accompany the protein we had Basmanti Biryani Rice ($5.50) and Mixed of Naan. The biryani rice is cooked to al-dente, colourful, flavourful and tasty, especially as it was spiced with garam masala. A good companion for the main dishes. I also have my mains with the Butter Naan and Kashmiri Naan ($6). 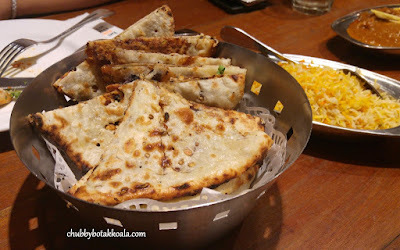 The butter Naan is fluffy and the butter richness just enhance your appetite further. 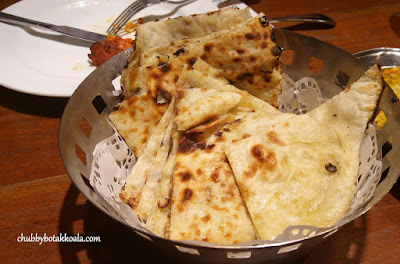 Meanwhile, the Kashmiri Naan is like a dessert naan for me. It is filled with mixed nuts and flavoured with rose petals, it is good to be eaten on its own. Definitely a good choice by our friend. Service was efficient. I would not say their service is good because it is just so difficult to see them smile at the diners. 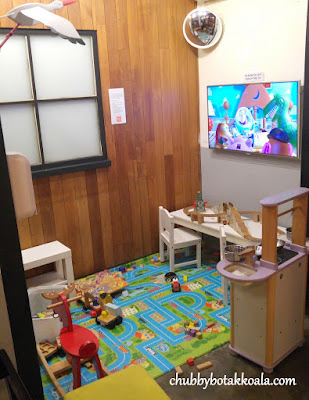 Parents will be glad to hear that the restaurant even have a children playing area with TV that play children animation to keep your kids entertain so you can enjoy your meal peacefully. The verdict: The quality of the food has always been consistent and what I like the most is the milder taste of their curry, the fluffy naan and the dishes seems more classy. 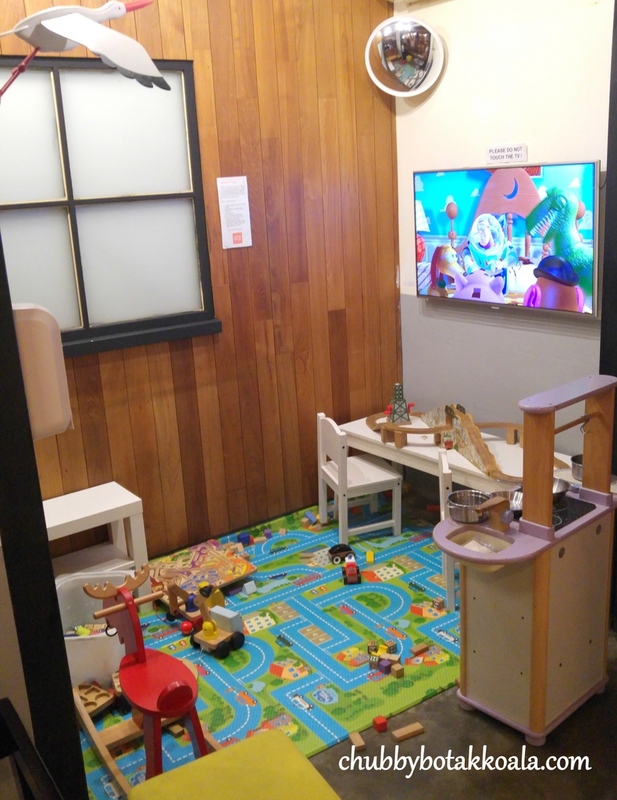 Although we wish that service would complement more with its service staff being more friendly and smiley. 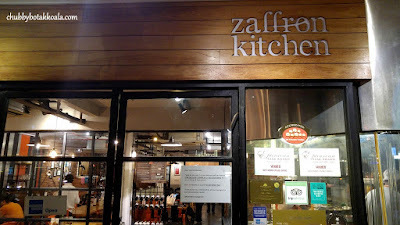 Our multiple visits to Zaffron should give you an endorsement this place is definitely worth a try. Cheers! !